A four-day, action-packed camp with spooky fancy dress on the last day. Tuesday October 28th - Friday October 31st, 10am to 4pm each day. 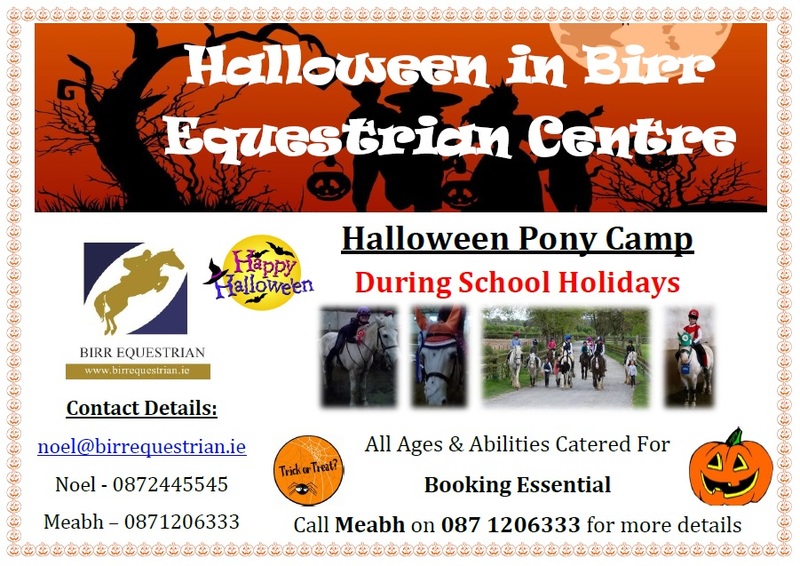 A four-day, fun filled camp with spooky fancy dress on the last day. €120 per child. Contact Meabh on +353 (0) 87 1206333 for more information or to book your place. Winter is on it's way but that doesn't mean that we'll all be going into hibernation! What better way to keep active and happy during the winter months than to start regular lessons at Birr Equestrian Centre? Adult and children group and individual lessons available! With friendly staff, reasonable rates and lesson times to suit even the busiest schedules, why not contact us now to book your first lesson? New Birr Equestrian Jackets and Jumpers Just In! With the winter beginning to creep in why not kit your children or yourself out in one of our Birr Equestrian Jackets or Jumpers! Jackets are available in Small, Medium and Large for only €45. Jumpers are available in Ages 7 - 8, 9 - 10 and 11 - 12 for only €20. Talk to Meabh on +353 (0) 871260333. This weekend The Irish Game and Country Fair takes place in Birr Castle. 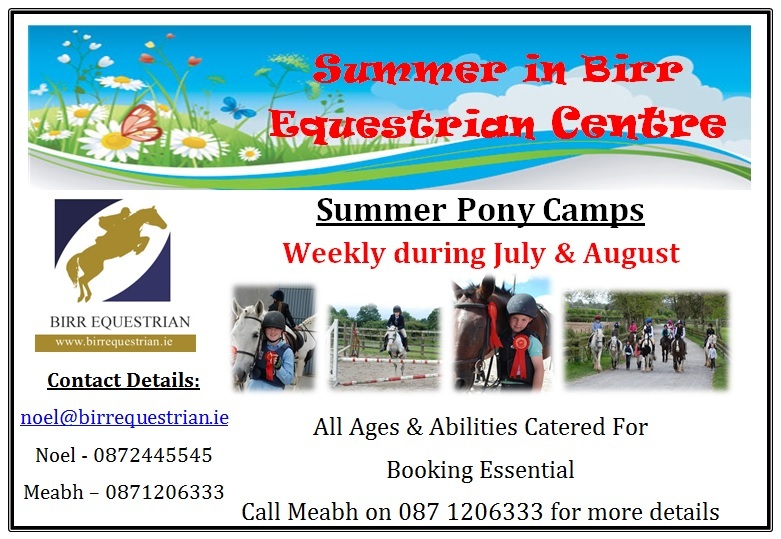 Birr Equestrian Centre will be in attendance providing pony rides all weekend and we will also be participating in the Carriage Driving Display on Sunday at 3.30pm! So if you are in the area over the weekend make sure to call and see us in Birr Castle.